Remember the siblings who went viral on Facebook after the big brother gave his younger brother Php1,000 as DOTA allowance and snacks? Well, a lot of netizens were clearly envious of the younger brother and reposted the photo, tagging their older siblings so they can also receive an allowance to buy anything they wanted. Princess Johara Narawi of San Juan del Monte recently shared a photo of the money she received from her big sister, Php20, which was much too little than the Php1,000 the DOTA brother received. LOL. 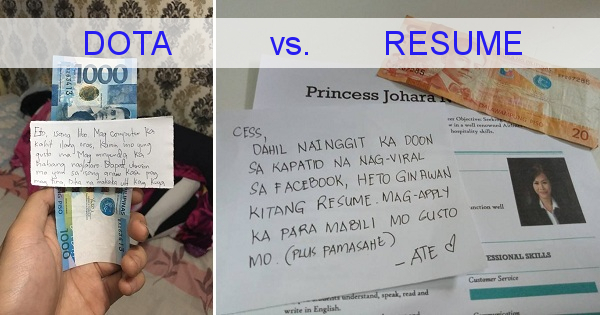 But the post went viral because the money was for ‘pamasahe’ so she can find a job. In the note her sister attached with the money, elder sister Merriam Angela Narawi told her she made a resume so she can apply for a job and buy anything she wanted, after she got accepted of course. 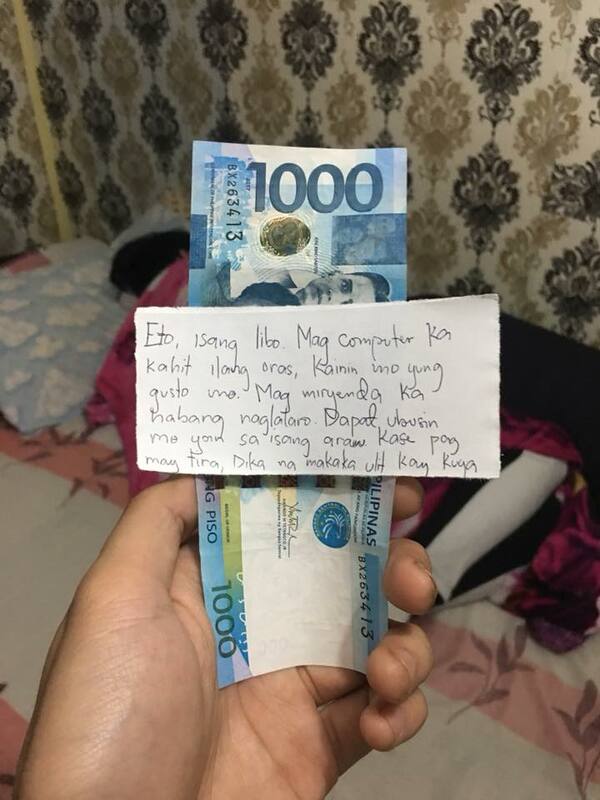 This was more likely a joke between the sisters but it impressed many netizens who said that this elder sister was much wiser than that elder brother who gave his younger brother Php1,000 for DOTA allowance. After all, it is better if the sister will have a job and earn money, thanks to the resume she made. Would you prefer the older brother who gave Php1,000 for his younger brother’s allowance or the older sister who just gave Php20 for fare but made her younger sister’s resume?